A water filter can be an excellent tool for keeping unwanted chemicals and other materials out of your water. Lead especially can be problematic. Depending on where you live, the standard water quality may not be the greatest. To help you out, we're going to provide information on several popular water filter options that can be great for filtering out lead, fluoride and more! These filters offer a great option for those who want to filter water into a pitcher. They come in single packs or in packs of 3 or 6. They might represent a more expensive option but can be highly valuable for those who want to keep lead and other unwanted materials out of their water. 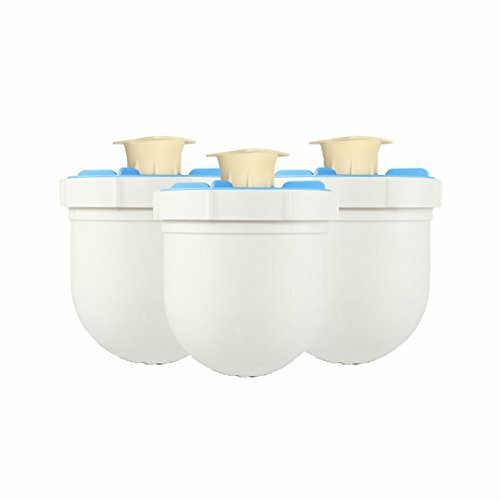 These filters are designed to keep things like fluoride, lead, and chlorine out of your water. Each filter lasts you for about 100 gallons, so you'll be able to get plenty of use from each one. They're also made from BPA materials in order to keep you perfectly safe as you use them. For those who have a lot of chemicals or unwanted minerals in their water, this product can do wonders to improve the overall taste. That way, you can enjoy the flavor of the water and knowing that you're going to be safe while drinking it. Some customers have experienced problems with these filters breaking and expelling filter media into their water. Make sure to keep an eye on your filters and make sure they are working properly, to avoid accidentally drinking the filtered chemicals or bits of filter media. These filters come at a more affordable cost than others and provide you with a pack of four. They are made to offer you fresh, clean, and great tasting water. 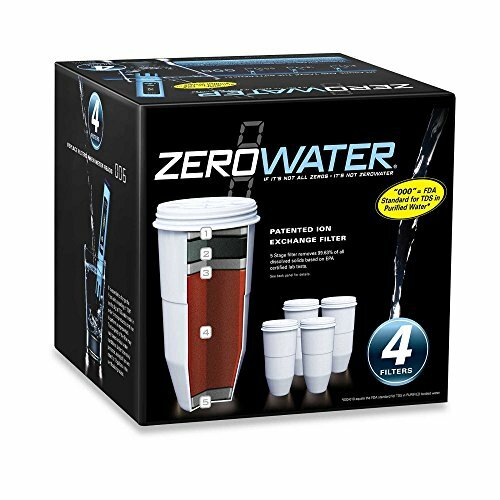 With this product, you'll get a pack of four filters that are made to last up to 25 gallons each. You can expect them to remove things like lead, mercury, and more to help keep your drinking water perfectly safe for you to consume. These filters are considered to not only be highly effective, but also easy to use. You'll be able to trust that your drinking water is clean, and you'll even get a 30-day warranty just in case any problems should pop up with the filters right after you get them. There have been a few issues that customers have experienced while using these filters, such as the water having an unpleasant smell or taste. Others may find that they don't last for the full 25 gallons or that they have received fewer filters than they had ordered. If you're looking for an option you can use under your sink so that the water that flows from it is clean and clear, this is a fantastic option. It comes at a highly affordable price and works for up to 1,500 gallons, giving you plenty of bang for your buck. This device is one you install in the plumbing of your sink. It allows the water to be filtered before it gets to the faucet so that you don't have to worry about filtering it after the fact. 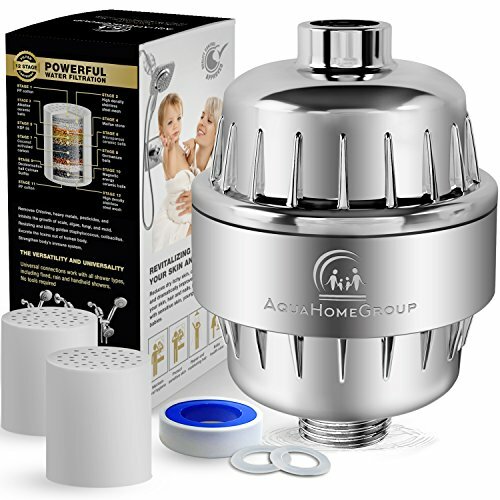 It's highly convenient to use and is made to be very efficient at filtering your water out. This product is designed to be easy, so many customers can get it installed in under half an hour. It also won't change the available water flow too much, so you can still get more pressure when you need it. It's really a great way to get clean, healthy water easily. It's not going to provide the same effects to all users. For some it may filter out 99% of unwanted chemicals and minerals while for others it may only be 20%. It's really going to depend on your unique situation as well as the unit you receive. This lower-cost option is a replacement for a highly praised under the sink filter system. It's a great option for those who need constant water filtering for their sink that they can rely on. With this replacement, you'll be able to get up to 10,000 gallons of use at quite a low cost. It's made to work with the Woder Gen 3 Filtration System that fits under your sink to ensure that any water coming from the faucet is clean. It's made to clear out unwanted chemicals as well as foul odors or tastes. Once you have the system set up under your sink, this product allows you to buy replacements as needed at a decent cost. It's easy to install and add these replacements so you'll be able to get clean water without a headache. You'll also be able to trust that it won't be prone to leaks. If you're using the system frequently, you may need to purchase replacements more frequently. It can also sometimes slow down the water flow, so keep that in mind as you shop. 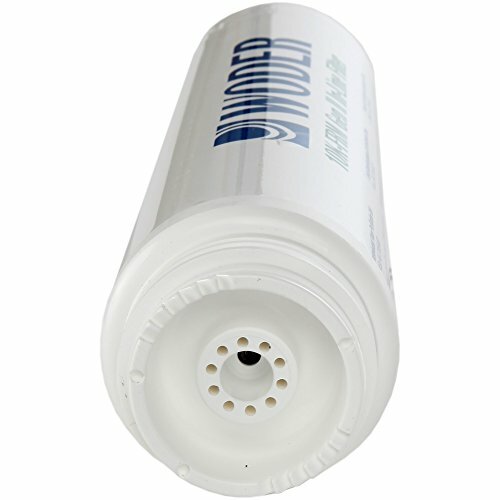 This is a filter you can add to your shower in order to provide you with water free from harsh chemicals. It comes at an affordable price and is said to greatly improve hair and skin health. This is an excellent product for those who deal with dry or itchy skin that may be prone to the chemicals in non-filtered water. It works great for those who have hard water and can give them an experience that will be much easier on their skin. This filter is designed to be easy to install so that you can get cleaner water in no time at all. It comes at a great price and can really help skin and hair to be better moisturized and healthier overall. In some hard water cases, customers may not experience a difference in their water supply. It can also potentially decrease the pressure that your shower is able to offer. 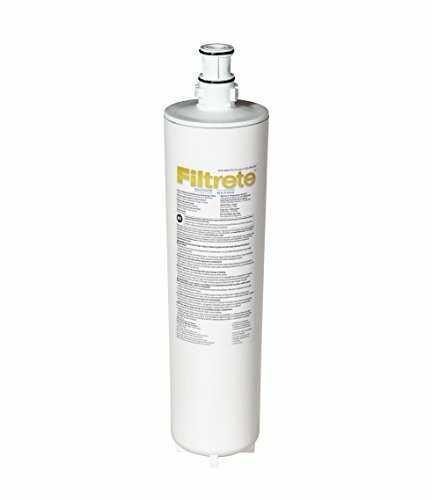 For those who want the best possible option, the Filtrete Under The Sink Filter is at the top of this list. It offers a great, affordable way to get clean water right from your sink. It's also made to work for a solid 1,500 gallons, which means you won't need to replace it often at all. If that's not the ideal choice for you, each of the items in this list has a lot to offer.